On the monitor, Tena called out to the people assembled there. Sitting around the round table were the important members of the Faith, and of course, the Merry Pope was there as well. Ever since the country-founding announcement, I sent people out to see how the other countries would move, and the information they gathered was to be presented at this meeting. As for being there myself, with Tena already recognised as my representative, I left it to her and instead decided to watch on-screen from the top floor of the temple. Also, Lili was sitting next to me, reading a picture book and studying letters. In this world where the literacy rate and printing techniques were oddly high for a medieval European level, learning how to read was indispensable. Tena sat on a special chair that was placed at the highest part behind the round table, and overlooked everybody gathered there. Just like how my appearance didn’t change when I became a divine, Tena’s appearance didn’t change either when she became an apostle, but for some reason I get the feeling that she was now wrapped in a kind of transcendental atmosphere. With beautiful blonde hair, a youthful but dignified face, as well as the black outfit with the mysterious atmosphere, it was like she was a princess or a shrine maiden from somewhere. Well, I guess she’s exactly a shrine maiden. A commotion ran through the meeting due to the sudden report. The Pope’s voice rang out through the noisy room, and the noise changed to complete silence. Well yeah, I am watching, but there’s no need to say it. A woman raised her hand at the Pope’s question. The Kingdom of Fortera was the nation that originally owned the place that we were in, and as somebody who was a stakeholder, you could say that they were the most important nation to us. I was very curious to know what news the report held. The meeting became even more noisy than before. The Church of Sacred Light was the official religion for all nations in the Human Territory, and this was the first time in history that anybody had opposed it, so a commotion was natural. No, perhaps forming a new faction isn’t actually defying the Church of Sacred Light itself. When the Pope received the woman’s report, and asked that question of the man who first gave the report on Luxiria, he received a reply that you could say was natural. But if they were going to withdraw that decision, they wouldn’t have made it to begin with, so it was already decided that the two would be hostile. Still, I wonder what’s going on. From Fortera’s point of view, our country──we’re a self-proclaimed country, but──our country had stolen their land and declared ourselves a nation, so Fortera should have been the first person to deny us. That’s what I expected as well. And the result was that they were taking a neutral stand, and taking a hostile position with the headquarters of the Church as well. I don’t understand why they would take a hostile position with the Luxiria Theocracy before taking one with us. When I turned around towards the voice that called out to me, I found the person who should have been in the Demon Territory gathering information, Leonora. The moment I turned to look at her, she averted her eyes. It was an very smooth motion… She’s gotten used to it, hasn’t she. For information in the Human Territory, I can sort of leave it to the Pope and the others, but as you’d expect, that wouldn’t fly in the Demon Territory. Since we’re right in-between both territories, I can’t neglect the Demon Territory either. Because of that, I asked Leonora to gather information there. As you’d expected, I don’t think she’ll tell me anything disadvantageous to her country, but we’re not hostile to the Demon Territory or anything, so just normal information is plenty. 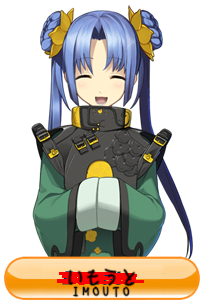 Right, and I should see what Leonora thinks about the information from just now. She is royalty, so she might know what a country is planning. I’m worried about the fact that she’s a muscle-head though. The discussion was still continuing, but since I heard the most important parts, I decided to take a break and discuss the situation with Leonora over tea. She crossed her arms, and sank into thought for a while. While patting Lili who was next to me, looking at the sweet bun with glittering eyes, I waited for Leonora to gather her thoughts. Leonora really is reliable. I’m sorry for thinking that you were a muscle-head. I was stupid for praising you. No, well, I certainly do think that they’re scared of me, and as a guess that probably isn’t wrong, but it was a pretty disappointing answer considering how much I was looking forward to it. While I was laying down on the table, Lili pat my head with her small palms. What a good girl. I see. Then if we take that as the truth, then certainly it does seem reasonable that the Kingdom and Theocracy would be quarrelling. What kind of relationship would that be? Seeing me tilt my head just a little, Leonora continued to speak. In other words, using us as a shield against the Demon Territory? If they did that, then it would certain explain their neutrality towards us. If they want to use us as a shield, then it wouldn’t be good to have either an antagonist, nor a friendly relationship. The former would just make a new enemy in place of the Demon Territory, and the latter would mean that they wouldn’t be able to push us to the enemy. And by taking a neutral stance with the Evil God Nation──as long as they weren’t choosing to become our enemy, they would necessarily worsen their relationship with the Church of Sacred Light. And it was because they knew this in advance, that they revolted against the Luxiria Theocracy. That kind of thing? For now, the fact that the most likely enemy Fortera, had now fallen into a deadlock with Luxiria was something very convenient for us. We should work to fix our appearance as a nation while we still can. I felt relieved after hearing that. At the very least, it seems that for now, I’ll be able to concentrate on the problems in the Human Territory. Feeling full, I rubbed my drowsy eyes while patting Lili on the head, and let out a sigh of relief. It seems that they wrapped up all the complicated stuff while I was resting, but the Pope began talking about something. Maybe it’s idol anri world tour live concert. Love this, thankyou so much! Don’t be.It’s probably just a plan that would involve scaring the living crap out of people while showing ultimate power and making know the weird hospitality of your nation/dungeon. Nothing new, really. 『In the beginning, Anri-sama created the world. Humans, animals, plants; all things that exist were created by Anri-sama’s hand. However, the foolish humans did not know. Sophia the evil god was jealous of Anri-sama, and pretended that Anri-sama’s achievements were her own, and the people praised Evil God Sophia. Anri-sama who lamented over the world dyed in heresy, decided that she would purge the world with only her believers remaining. The believers of Evil God Sophia will surely burn in Hell for eternity. While I think commoners would find that hard to swallow. I kinda feel high nobility would be more willing to listen. Afterall The fake god turned out to be real. Phantom’s right, the old lie will fit right into the new one! That won’t lead to misunderstandings with the other gods, nope, they will totally understand when an “average” evil god makes them soil their pants merely by looking at them. I think I get it. This volume title kinda tips it. The Pope is making something akin to a Bible. And maybe later on make several crusades if not contained properly. how will Goddess Sophia respond to this…and what kind of person she is? er..I mean goddess. How come a goddess is utterly unable to do anything to stop that guy? That guy is litterally speaking for her… he’s putting (his) words into her mouth. Any normal person would have already sent the apostel over to have a few words with him (and/or smite him). Because her personality (that was already established) is one where if she accidentally knocks over a vase, she picks up the rug and kicks the vase pieces under the rug while whistling. Shes also the kind of person who deflects responsibility to others. Because of these traits all the humor from this story is derived. Anri should put that Merry Pope of hers on a tight leash! When will the ‘black clothed’ Anri figurines come out for praying to? thx sheeprabbit for the chapter and teaser. On the one hand, that Pope REALLY needs to be reigned in. Obviously Anri doesn’t have the willpower to do so, so Tena would have to do it while pretending she’s acting on Anri’s orders. This would result in more Tena screen time, which I approve of. Besides, the pope’s male, so he has no place in Anri’s yuri harem (current member count: 3). On the other hand, that Pope has SO much potential for hilarity, mostly by troubling Anri (and also the world). Hahaha, that pope! I wonder what he has in store. ah, probably nothing much, just blowing up a capital or two would do. that kind of thing? It’s kinda odd that leonora, a demon, would use demonize negatively. ” because it was an idea used by humanity to demonise our Dark God”. I know your the TO not the author, just pointing it out.